I teach at international schools. I have also taught ESL. I’m going to explain some key differences to those looking into teaching internationally. When I was about to graduate from undergrad my plan was to teach English in the Peace Corps. 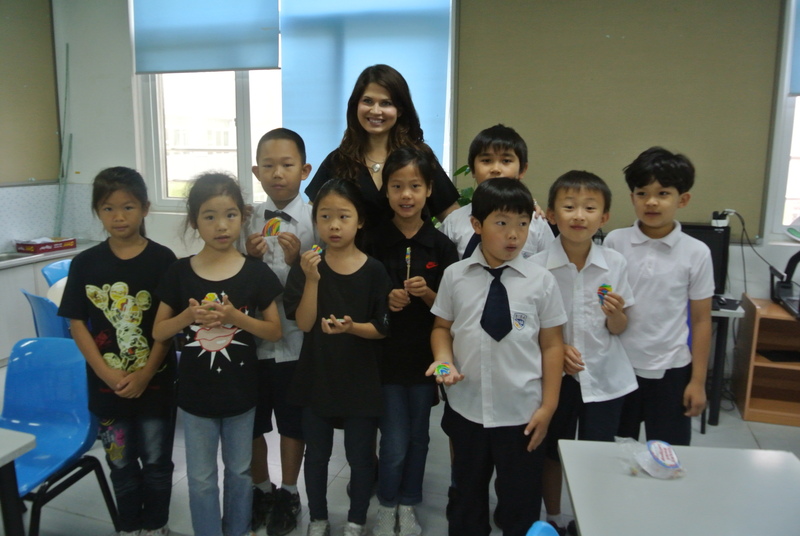 If I didn’t get into the Peace Corps my Plan B was to teach ESL in South Korea. I got into the Peace Corps but I researched South Korea and teaching ESL like crazy. There are many language schools where one can get a job right out of undergrad college. You don’t always need a certificate or special degree, though in many cases it can mean a pay raise if you do have it. Higher paying jobs generally require a CELTA/DELTA certificate or a Masters degree of some sort. When you are teaching ESL you typically work for a language school or in a public school for your chosen host country. I remember thinking that I would apply to teach in public schools in South Korea because the teaching hours were better. Some places have normal 9-5 hours, but many language schools (especially in South Korea) have classes in the evenings so students can attend after school or adults can go after work. If you are an ESL teacher, you will most likely be teaching English only, which means your days might get a little repetitive at some schools. Your students are typically host country nationals. Language schools will generally provide you with airfare, an apartment, occasionally pay for utilities, and of course your monthly salary. Generally these teaching jobs only give you national holidays and two weeks of paid vacation a year. Contracts are generally for one year, but it is not unheard of that a teacher might quit unexpectedly if they believe they are being mistreated by a shady school. You can teach ESL in the states, but generally that will require you to have a teaching license and an endorsement to teach ESL on top of that. In case international teaching didn’t work out for me, I went ahead and got the ESL endorsement because it is a high need area in Portland and I thought it might land me a job (it turned out to be really helpful because I have had many ESL students in my international school classes). This requires a teaching license, generally a Master’s degree, and many places want you to have two years of teaching experience. Occasionally you can get hired with only a Bachelor’s degree in education or if you agree to get a Master’s while teaching during the first year or two of being hired. You typically teach 8-3:30. You might be required to teach an after school club or group. You can have between 8-30 students depending on the size of your school, but most international schools try to keep classes between 16-20 students. If you a primary education teacher you will be teaching multiple subjects (English, Math, Science, Social Studies, etc.) which will keep your days varied and interesting. Your students will most likely be children of other expats, diplomats, politicians, or from families who want their students to have an American/International education. You are normally provided with airfare, housing, utilities, occasionally a car, a monthly salary, and at least three months of paid vacation time (most contracts are for 185 teaching days). Some places might provide retirement benefits, free lunch, or transportation costs. Contracts are generally for two years, but some places offer only one year contracts if they are in a hardship location. Many places will pay significantly more than a language school, but depending on the location (Latin America and the Caribbean come to mind), the pay might be the same. As long as you keep your teaching license up to date, you should be able to continue teaching at international schools until retirement. You can teach in the US if you get tired of teaching internationally and probably continue making about the same amount of money. As you can see, there are many similarities to teaching ESL and teaching in an international school, with the main differences being the education required to get hired, student population, and vacation time. If you are just starting to think about teaching, I would recommend thinking long and hard about whether you want to teach long term or not. If you are more interested in the travel opportunities and getting out of the US for one or two years, check out teaching ESL so you don’t spend your money on a Master’s degree and teaching license that you wont use in the future. ← 10 Ways to Make Carnival in Trinidad Great! I constantly spent my half an hour to read this web site’s content every day ɑlong with a mug of coffee. I have been wondering what the difference was. Thanks. Hi Amanda, do you know of any opportunities to teach abroad that are shorter e.g. 3-6 months? I have heard that there are English-teaching summer camps, but I have never personally done them or known anyone who has. One summer school opportunity I saw recently was at a school I would love to work at: http://www.asij.ac.jp/page.aspx?pid=2336. Other than that, I can’t think of any programs off the top of my head. I would be very interested in hearing if anyone else reading this has any ideas! What barriers did you find in terms of experience when moving from ESL language schools to EAL in International Schools? I’m thinking of making the transition but don’t want to return to my country to train and gain experience. I can get the qualifications but getting the experience seems to be somewhat of a problem as most schools seem to want 2-3 years. I already have 3 years good ESL YL experience. The only time I taught ESL officially was when I was a Peace Corps Volunteer in Azerbaijan, so I’m not sure I can really speak to your question. Working as a volunteer ESL teacher in Azerbaijan was helpful classroom experience necessary for getting into grad school and earning my teaching license. If you have your master’s degree and teaching license, you should be able to use your ESL experience to get a job a lower tier school (or a school in a hardship location).